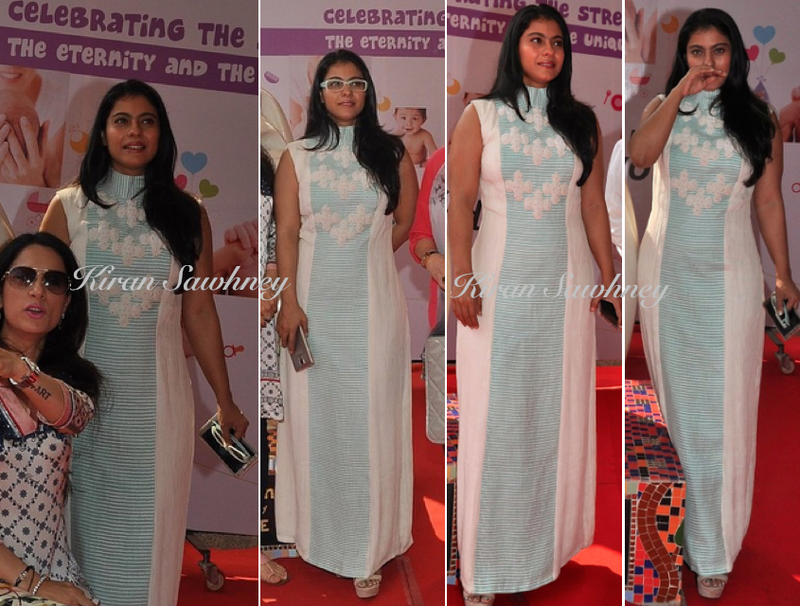 Kajol was at Rouble Nagi's sculpture unveiling. She wore Neha Agarwal dress. What we really dislike are those wedges. We like the dress. It could have been styled better with better choice of shoes and accessories. We think Kajol did not do justice to it.